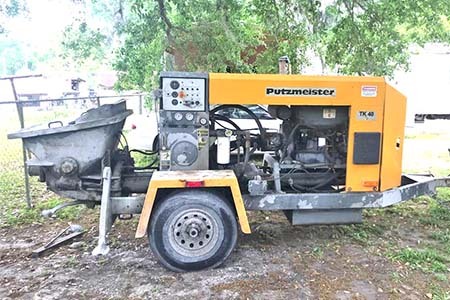 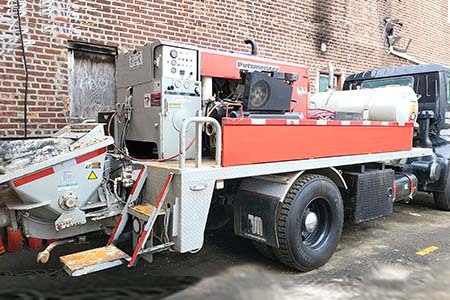 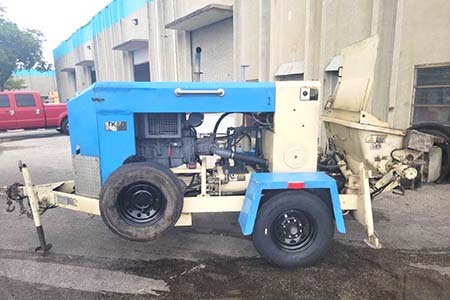 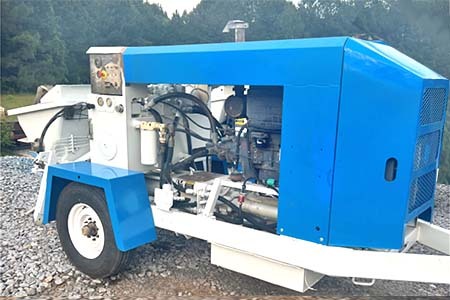 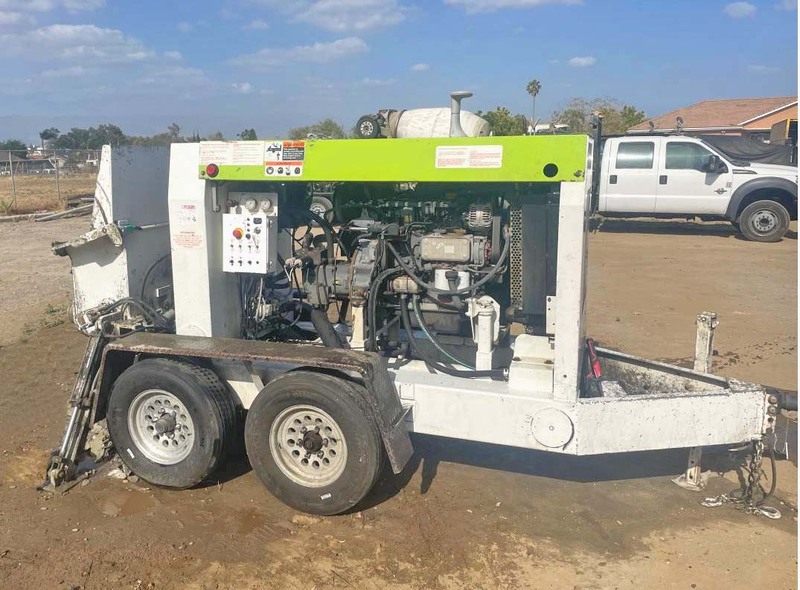 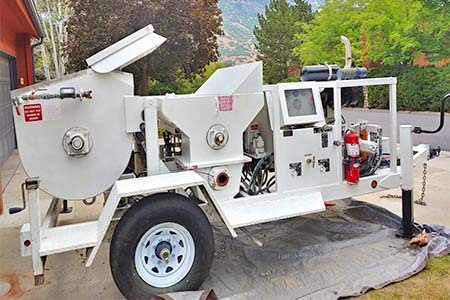 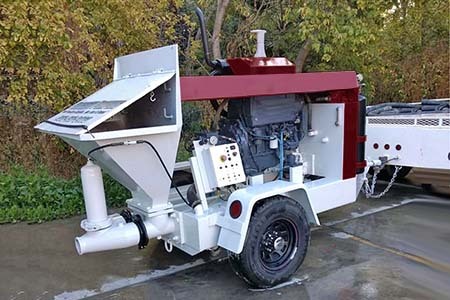 2019 Putzmeister TK-70 Concrete Pump Order New! 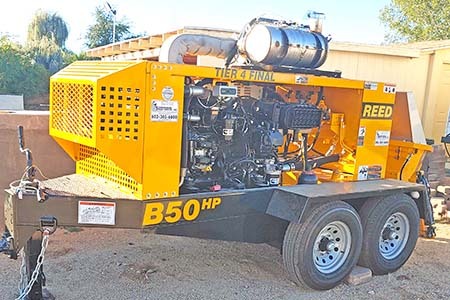 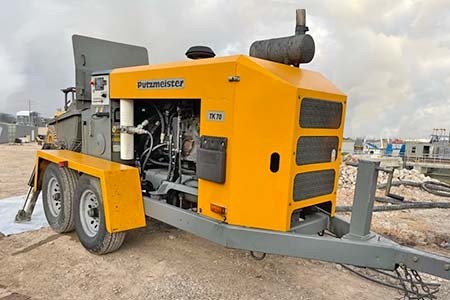 2019 Putzmeister TK-50 Concrete Pump Order New! 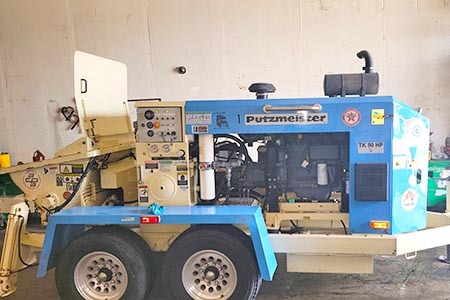 2017 Putzmeister TK-50 Concrete Pump Like New! 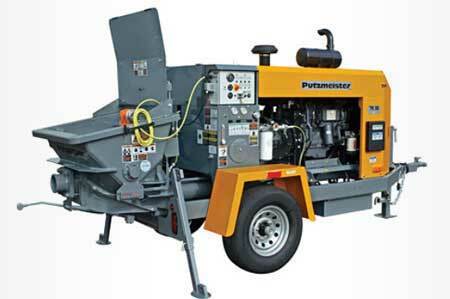 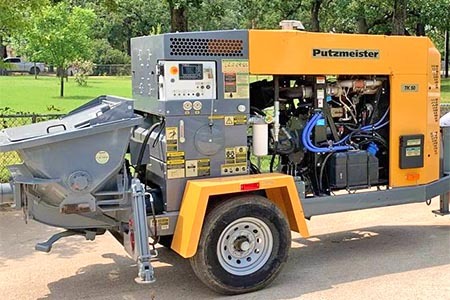 2019 Putzmeister TK-40 Concrete Pump Order New! 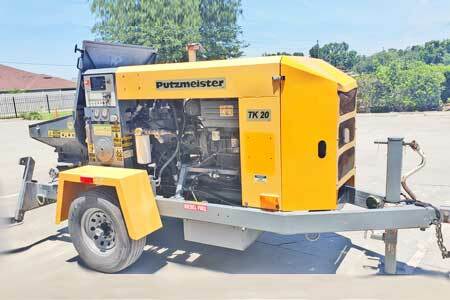 2018 Putzmeister TK-40 Concrete Trailer Pump New! 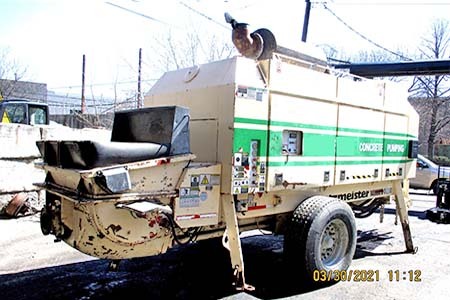 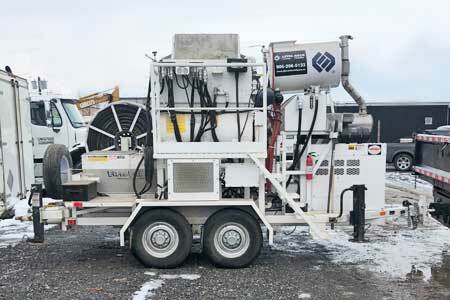 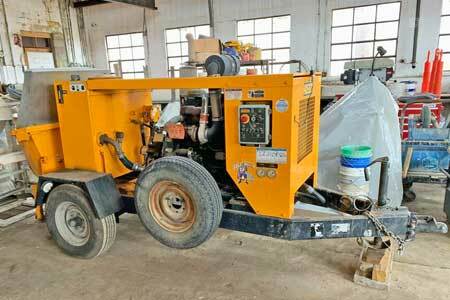 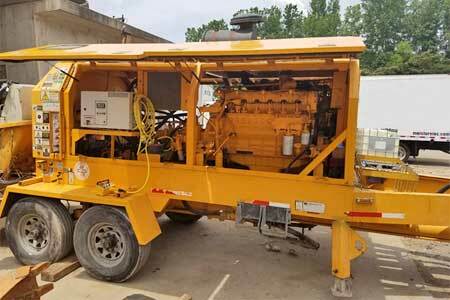 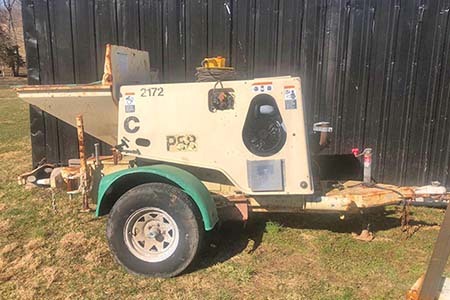 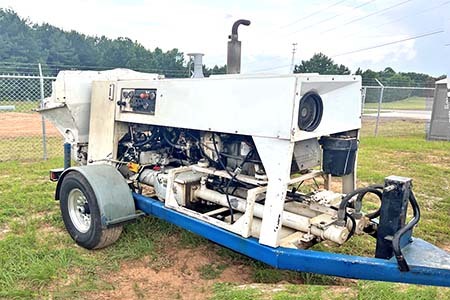 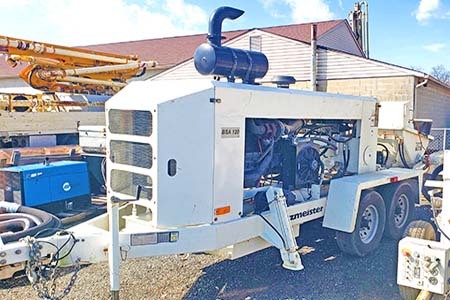 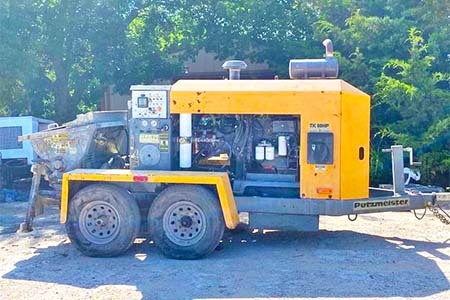 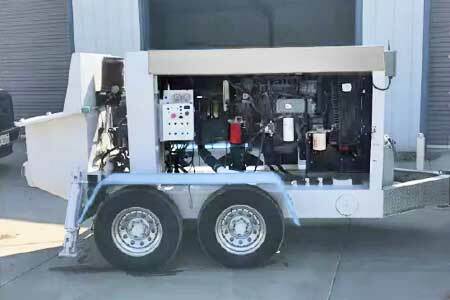 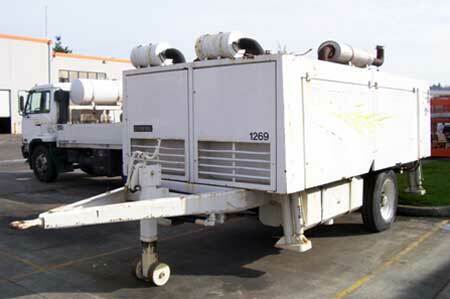 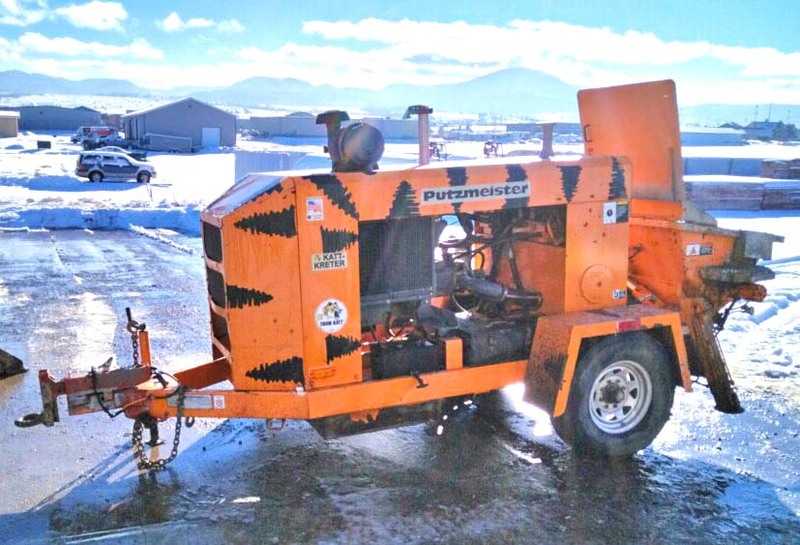 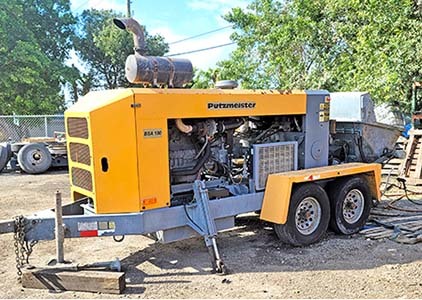 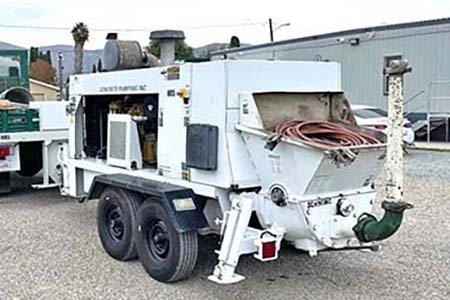 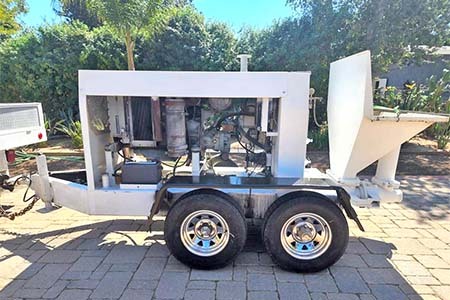 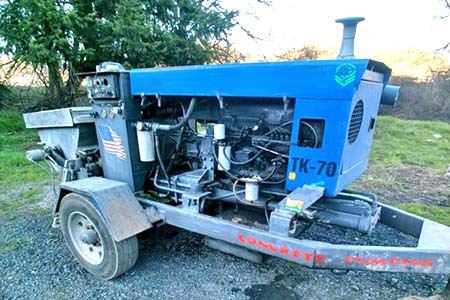 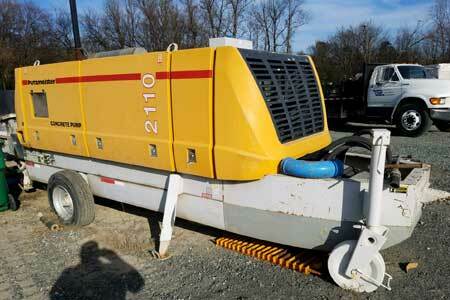 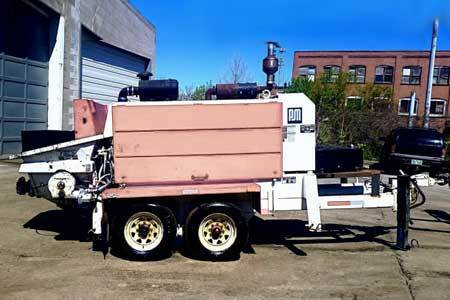 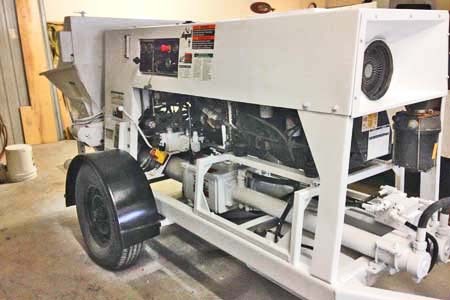 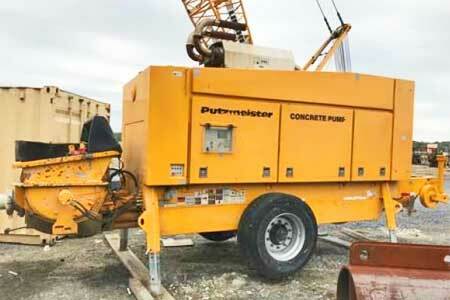 2004 Putzmeister TK-40 Concrete Trailer Pump Reduced! 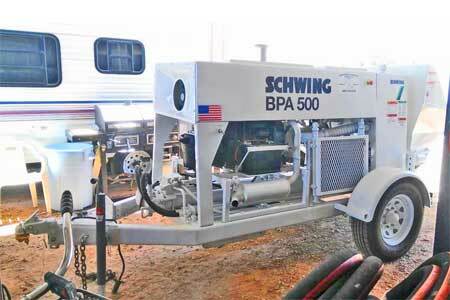 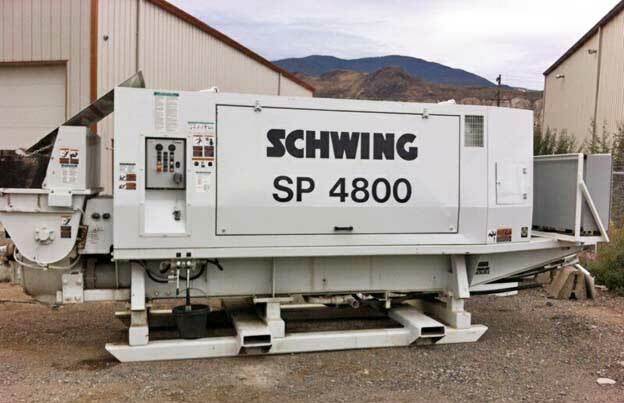 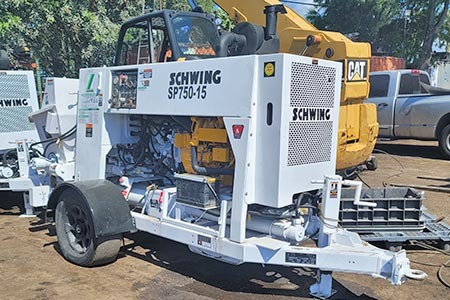 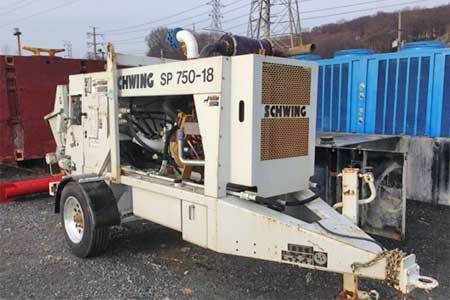 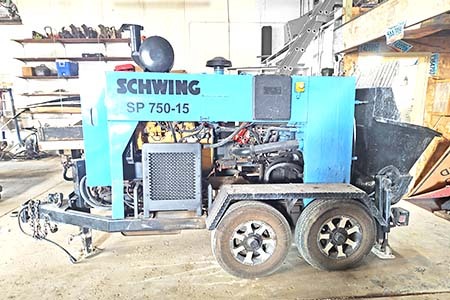 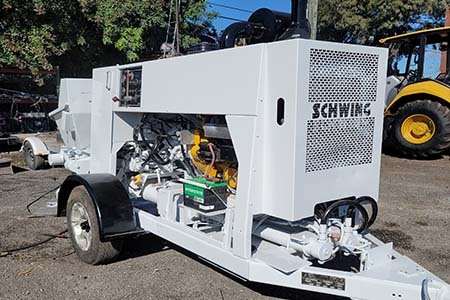 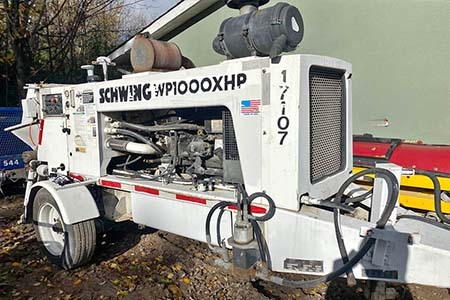 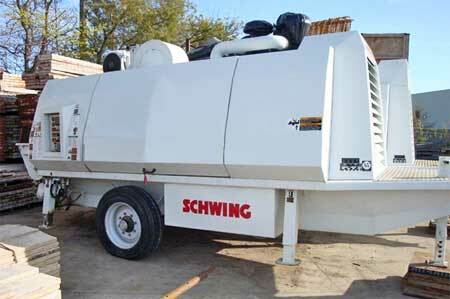 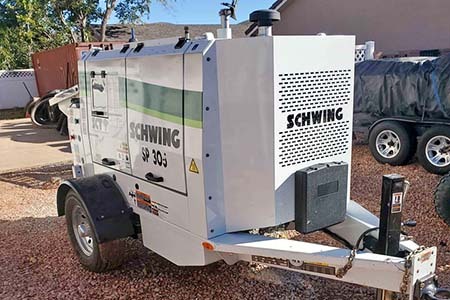 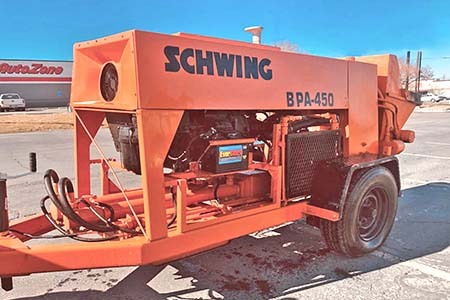 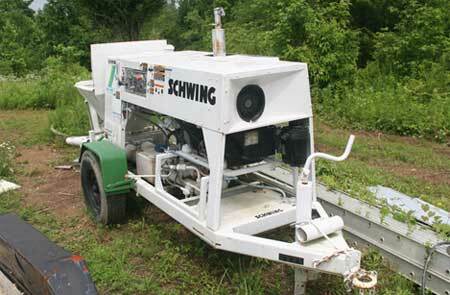 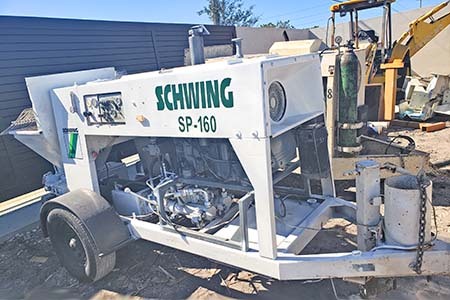 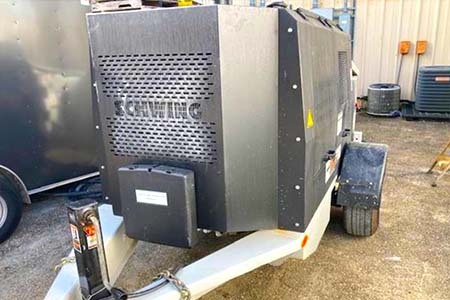 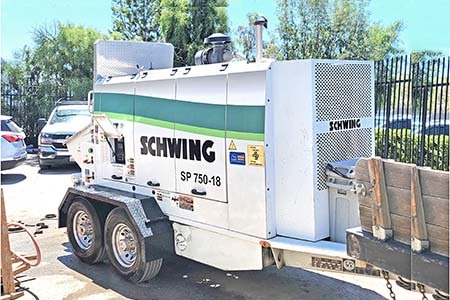 2010 Schwing SP-4800E Concrete Trailer Pump ELECTRIC! 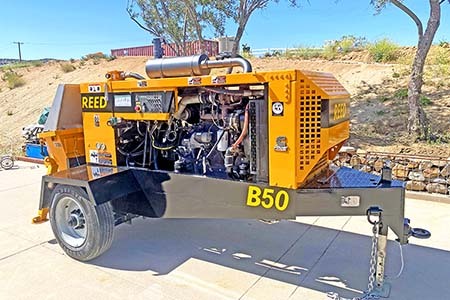 2017 Reed B70SKE Electric Line Pump Electric! 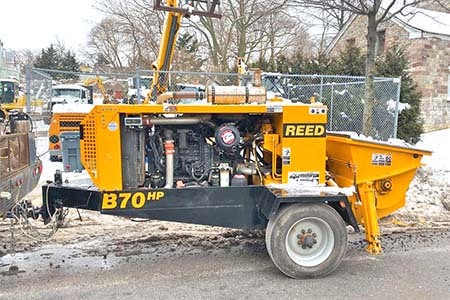 2018 Reed B50 Concrete Trailer Pump Never Used! 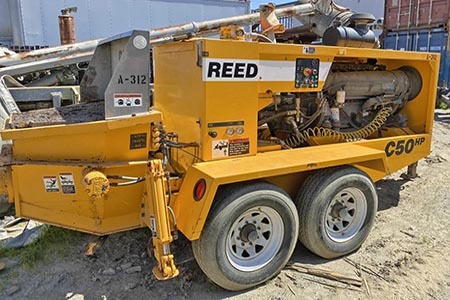 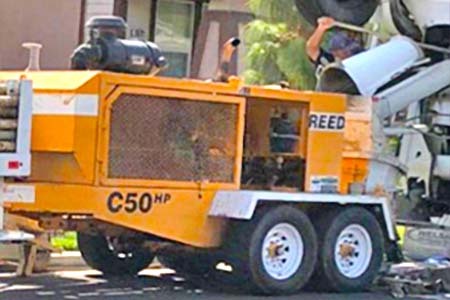 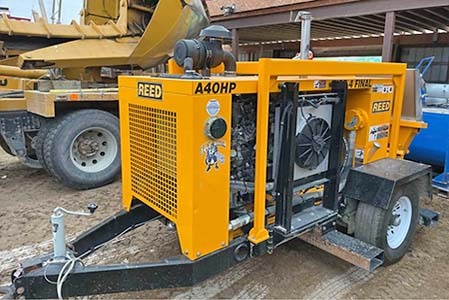 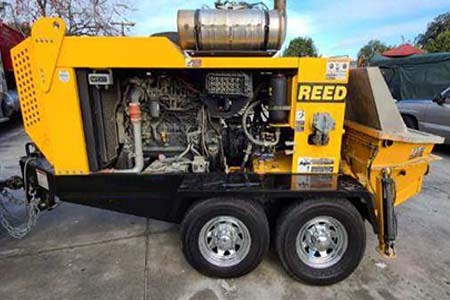 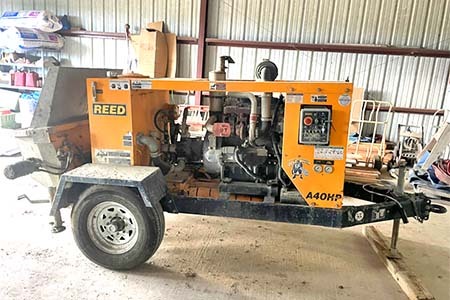 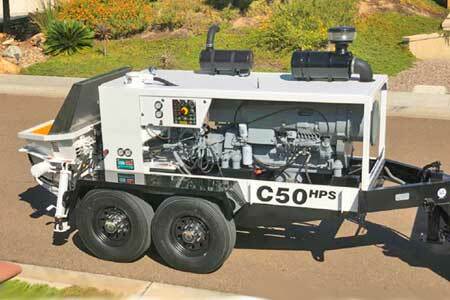 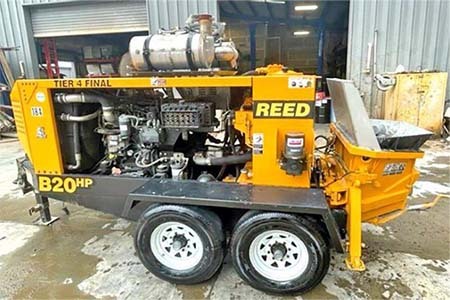 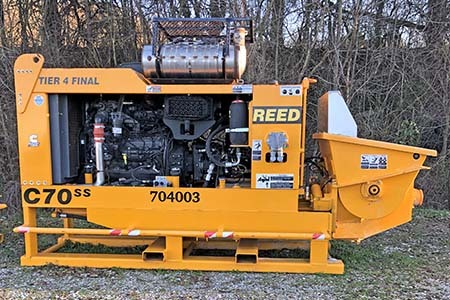 2005 Reed C50HPS Concrete Line Pump Electric! 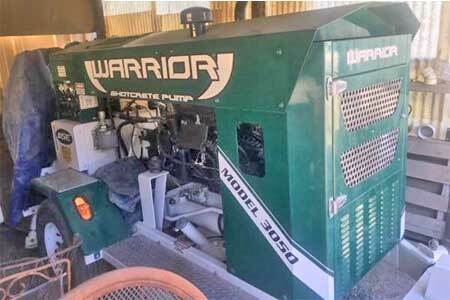 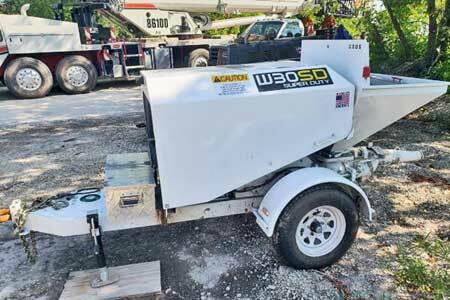 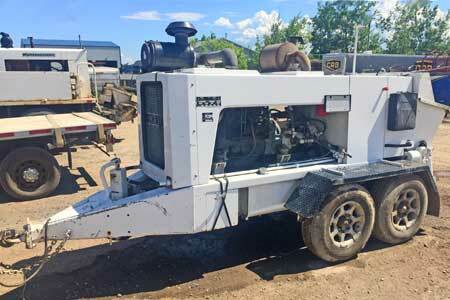 2006 WSE Warrior 3050 Concrete Trailer Pump 147hrs! 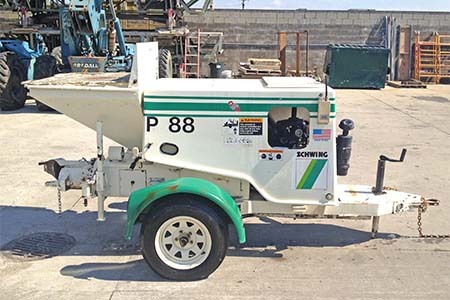 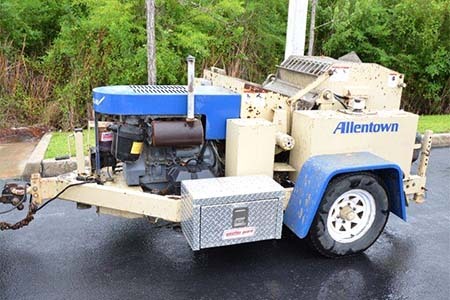 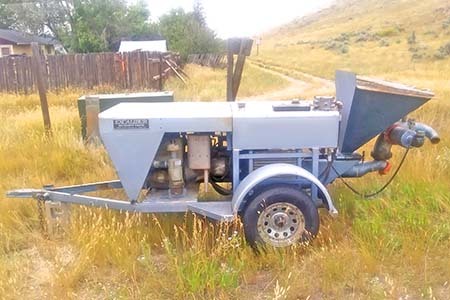 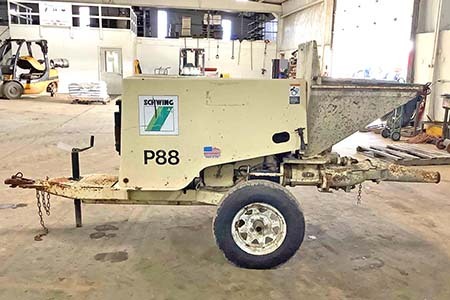 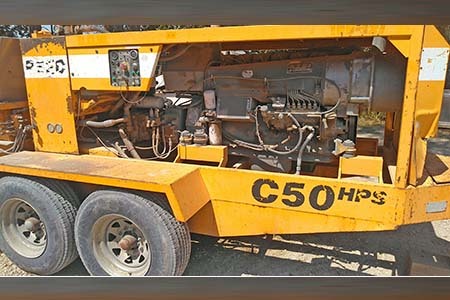 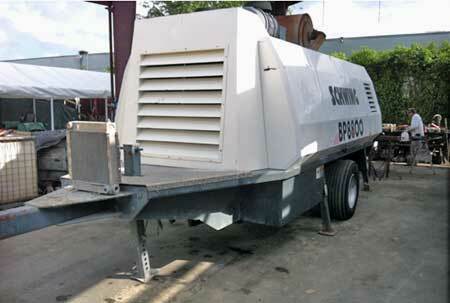 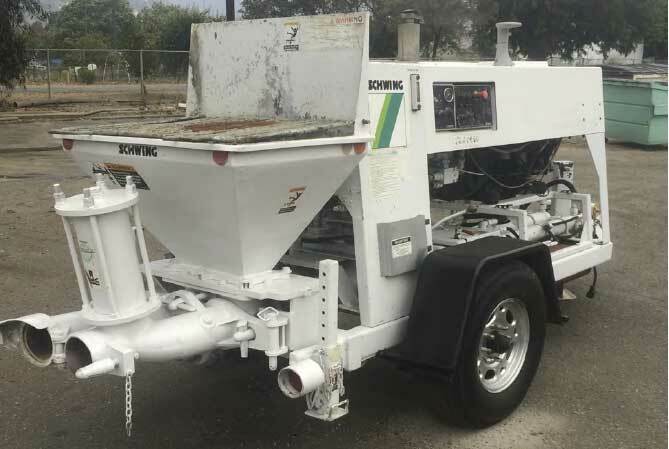 2004 Olin 565 Concrete Trailer Pump Reduced! 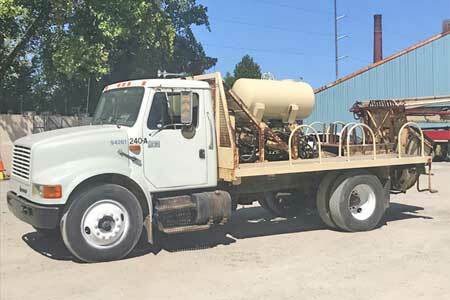 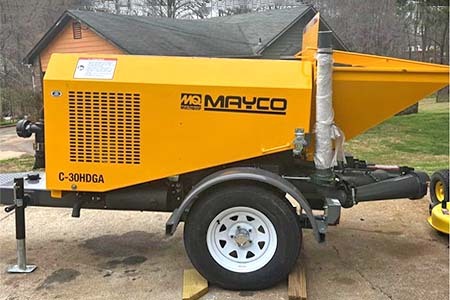 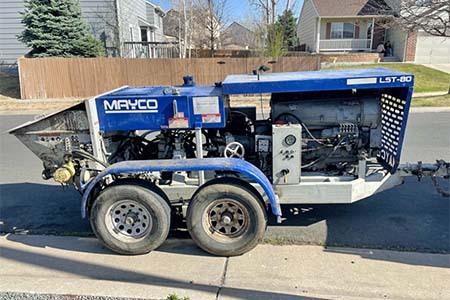 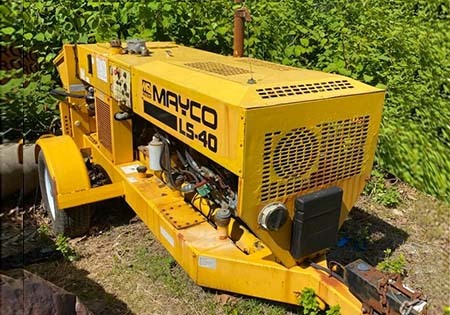 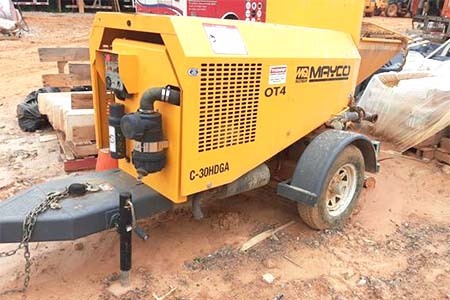 1999 Mayco ST-45 Concrete Trailer Pump 698 Hrs! 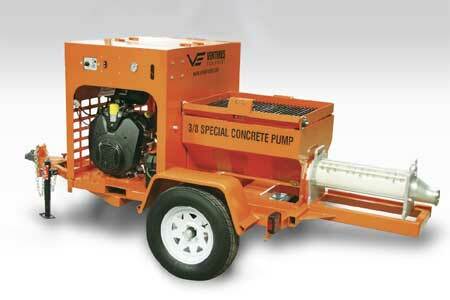 Hy-Flex 30G Grout Pump Like New! 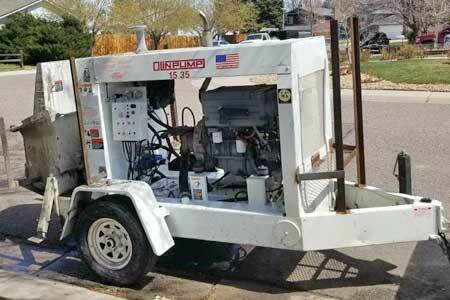 HY-Flex HF-15 Spray Buddy Sprayer-Pump Like New! 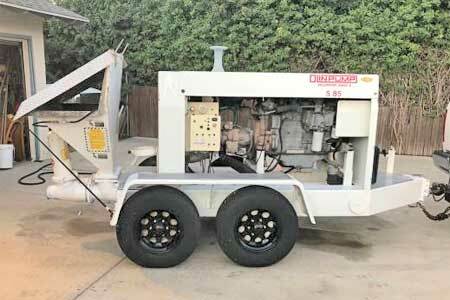 2018 Gulfstream Peristaltic Grout Pump Like New! 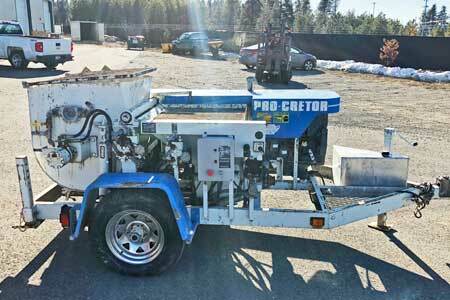 2018 Ventures 3/8" Special Grout Pump Brand New Tech! 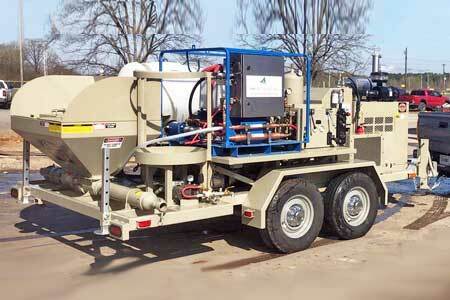 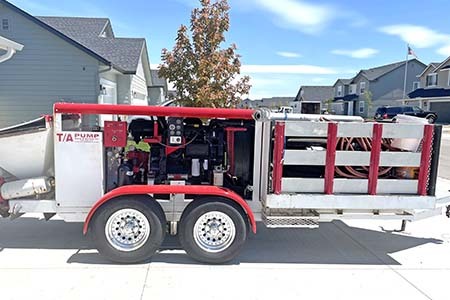 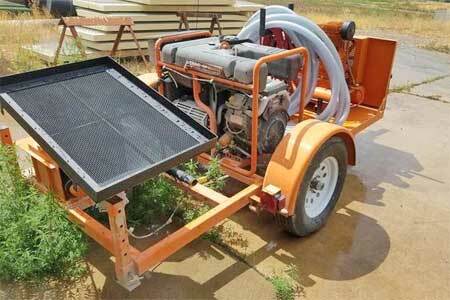 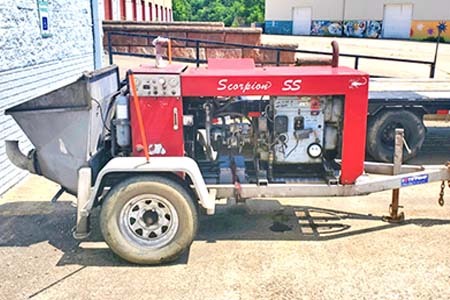 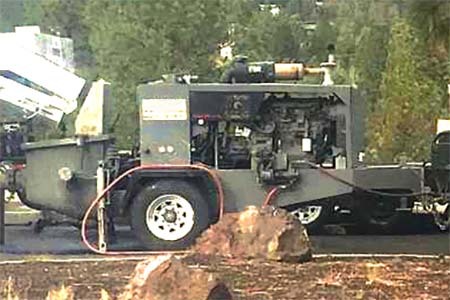 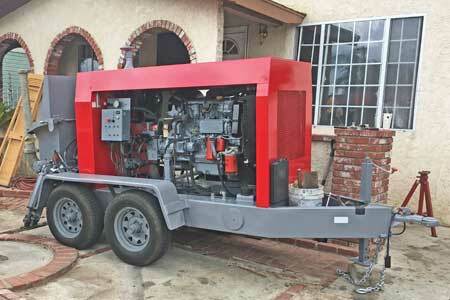 Trailer pumps are wheel-mounted units that must be pulled behind a truck. 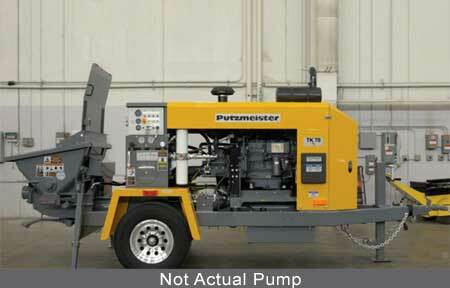 They are also called line pumps because they pump various mixes through steel pipe and flexible hose or "lines". 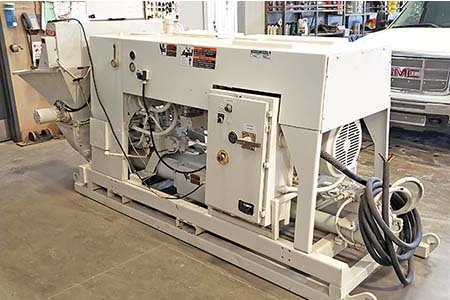 These pumps come in a wide range of sizes from quite small and portable to very large and powerful, high-production machines. 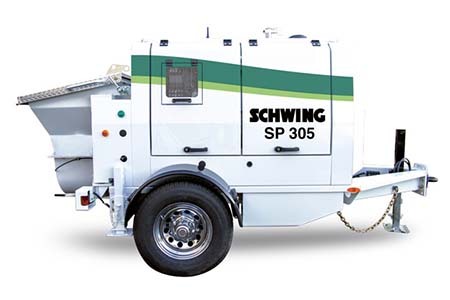 Trailer pumps can pump up to 2,000ft. 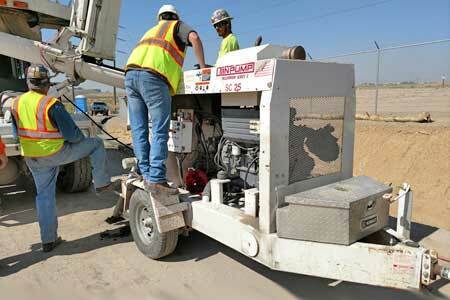 vertically and up to 8,000ft. 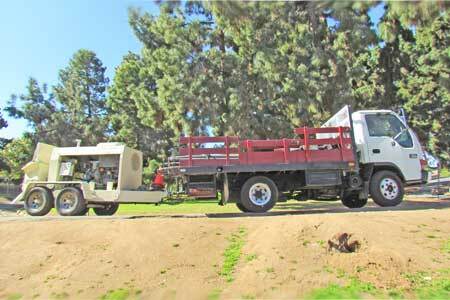 horizontally. 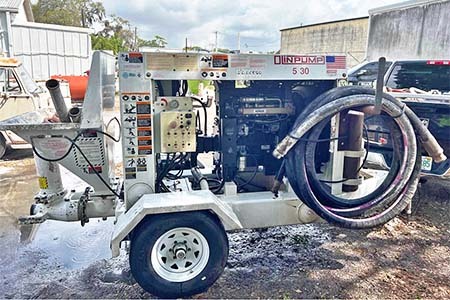 They are extremely versatile and can pump concrete almost anywhere for high-rise structures, underground tunnels and shafts and even underwater for marine construction. 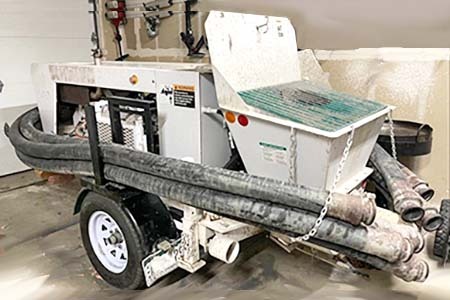 Their impressive capabilities significanly contribute to what is actually possible and practical to construct or build with concrete.